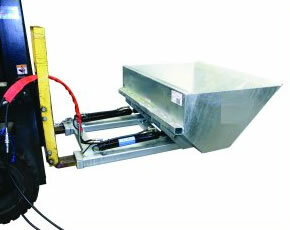 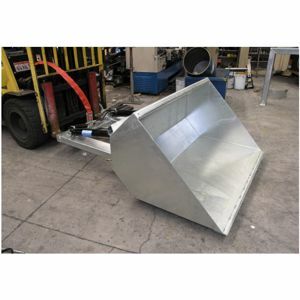 Type DBHS2 Hydraulic Dirt Bucket is a slip-on attachment allowing quick connection to the Forklift with the use of "Quick Connect" hydraulic couplings. 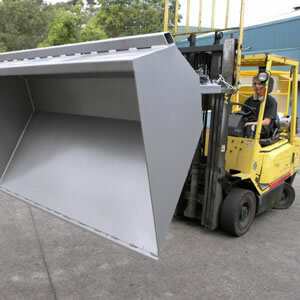 Type DBHS2 Hydraulic Dirt Bucket is a slip-on attachment allowing quick connection to the Forklift with the use of "Quick Connect" hydraulic couplings. 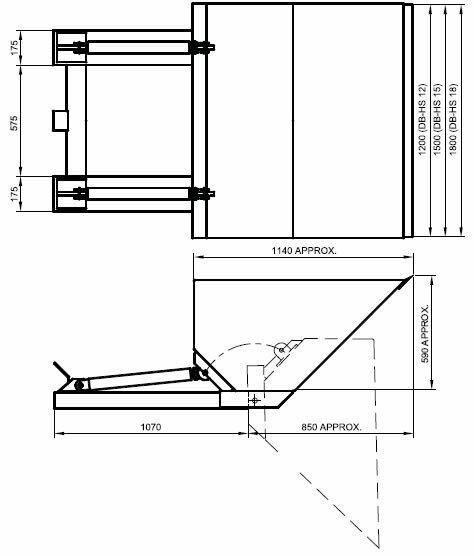 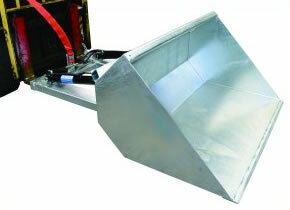 The hydraulic operation allows for full backwards tilt making the bucket suitable for liquid products. 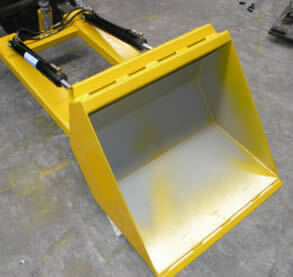 These buckets are able to be used as tip-up bins for waste handling or for excavation and transport of loose material. 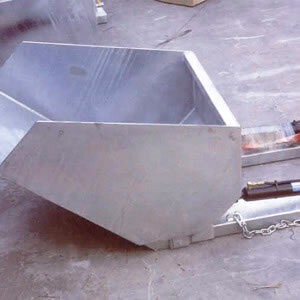 The bucket is manufactured with a hardened steel wear edge. 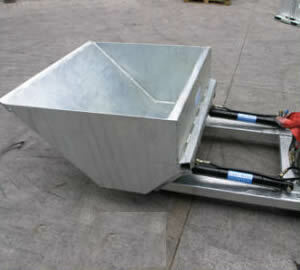 The standard finish on the Dirt Bucket is Zinc Plated.